This article appears in print in the June 2018 issue, as part of the "85 Best Outdoor Adventures" cover story. Click here to subscribe. > Built in 1935 as a lookout to detect forest fires, this modest cabin on steep, picturesque Evergreen Lookout Trail is a popular pit stop for experienced hikers. It’s so popular, in fact, that rangers say you have to be ready to book six months before the date you’re hoping to stay, when the reservation books open. The cabin sleeps four; you’ll need to pack in most of your essentials (sleeping bags, toiletries, water, etc.). Mount Baker–Snoqualmie National Forest. Find directions to the lookout at recreation.gov. DAY 1: After picking up your rental ( reserve by phone or email; $195 per day), head to Edmonds and take the ferry to Port Townsend en route to your destination: Olympic National Park and Deer Park Campground. This is an amazing high-altitude campground with sweeping views of the Olympics and bucket-list-worthy sightseeing at Hurricane Ridge nearby. DAY 2: Head west alongside the Strait of Juan de Fuca on State Route 112 toward magical Neah Bay and the Makah Indian Reservation ($10 permit required, makah.com). There, you’ll camp at Hobuck Beach Camp, chill with surfer families and hike to Shi Shi Beach. DAY 3: Continue on to Fairholme Campground on Lake Crescent. 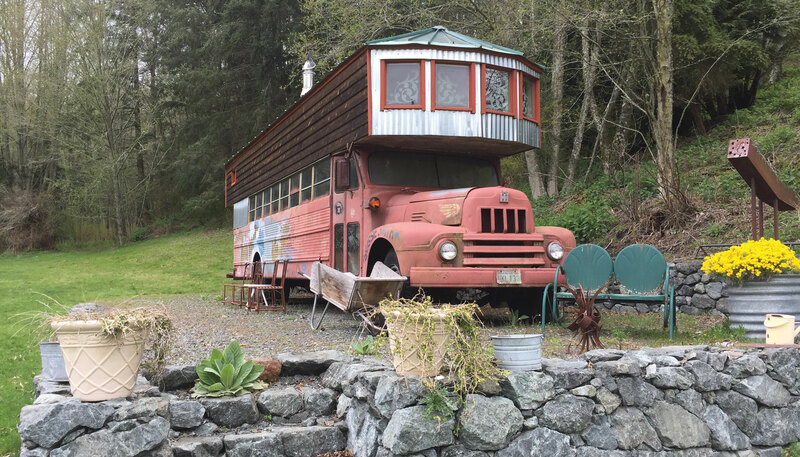 From here, drive about 30 miles on U.S. Highway 101 to the trailhead for rustic (and free) Olympic Hot Springs, a 2-mile hike in from the Elwah River valley. The more developed, resort-like Sol Duc Hot Springs is also within striking distance (about a 30-minute drive away). DAY 4: Ease back into civilization with a visit to charming Port Townsend and Finnriver Farm and Cidery in nearby Chimacum. It’s a great place to spend a long afternoon in the summer and revisit all your newly made memories.